Real estate company GTC (Global Trade Centre), the developer of projects in Bucharest such as America House in Piaţa Victoriei or City Gate towers in Piaţa Presei, bought the office buildings Premium Plaza and Premium Point, according to sources close to the transaction. 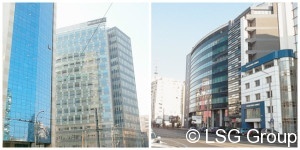 Both buildings are situated in the proximity of Piaţa Victoriei in Bucharest, the first on Titulescu Blvd and the second on Buzeşti St. and are owned by banking group Volksbank. The value of the transaction is estimated to nearly EUR 30-40 million, according to cited sources. Following the transaction, the portfolio of GTC has increase to 37 projects and a rentable area of 665,000 sq. m. On the local market GTC took over completely the GTC towers in the end of last year, as well as Duna Tower in Budapest and Pixel project in Poznan, Poland. This year the portfolio of GTC will expand with the completion of University Business Park in Lodz, Poland, which has a rentable area of 19,600 sq.m and the second phase of its largest project, Polnocna Gallery in Warsaw, scheduled for next year. Currently the building Premium Plaza is 86 pct. let while Premium Point has 74 pct. occupancy rate. The tenants include Franklin Templeton, Thomson Reuters, Autodesk and HBO. The buildings Premium Plaza and Premium Point have 8,600 sq. m, respectively 6,400 sq. m and a value according to market experts of EUR 25 million and respectively EUR 15-20 million. The first was delivered in 2008 and the second in 2009. According to a study conducted by ZF last summer, Pre­mium Point is considered by the real estate consultants in Bucharest among the five best office buildings in the city, in the category less than 10,000 sqm. The sale by Volksbank comes on the background of the Austrian group exiting the Romanian market after the takeover of Volksbank by Banca Transilvania, the effective date of the merger being 31st of December 2015. Since 2013, GTC has a new main shareholder after the strong American group Lone Star bought 30 pct. of the developer shares, and last year Thomas Kurzmann was named, the president of the board a manager working for the last five years within the Volksbank group. 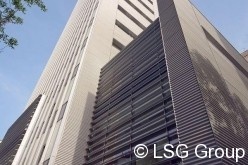 The transaction between Volksbank and GTC was brokered by Colliers International, representing the seller. The takeover of Premium Plaza and Premium Point is the second office sale transaction this year on the Romanian market, following the transaction in March when Aberdeen Asset Management Deutschland AG and Commerzbank sold the office building Phoenix Tower in Bucharest to Adamamerica. “The sale of Premium Plaza and Premium Point to an international investor is another important step for the liquidity growth, therefore of the attractiveness of the Romanian real estate investment market for investors”, has declared Robert Miklo, Investments Associate Director within Colliers International.